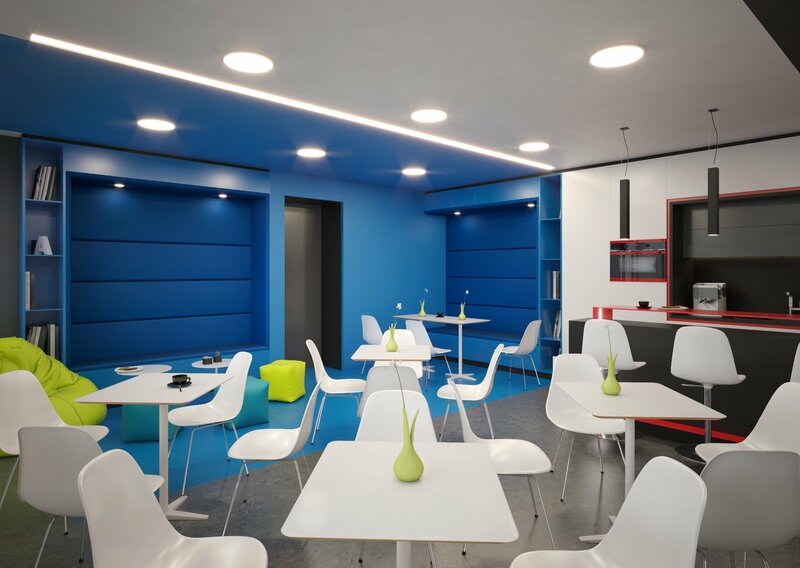 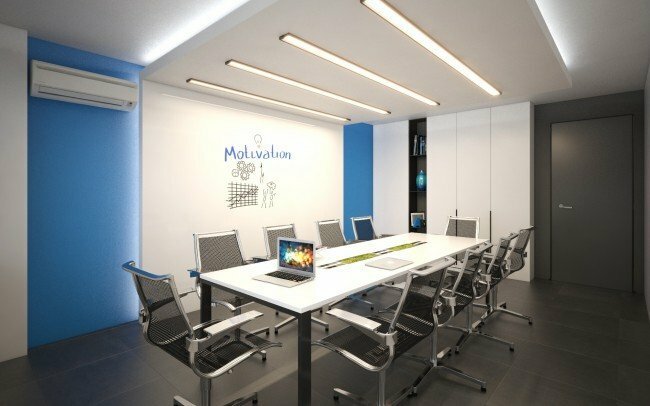 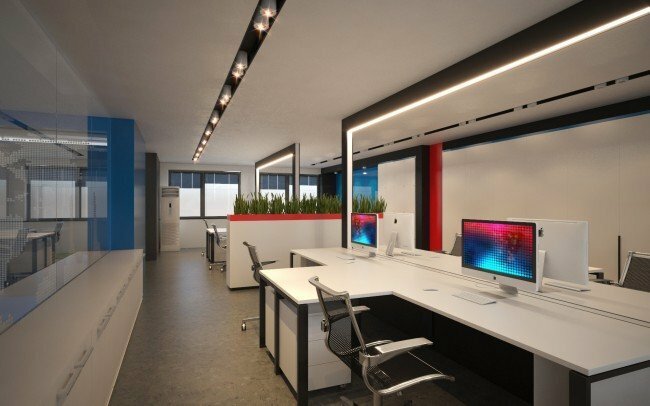 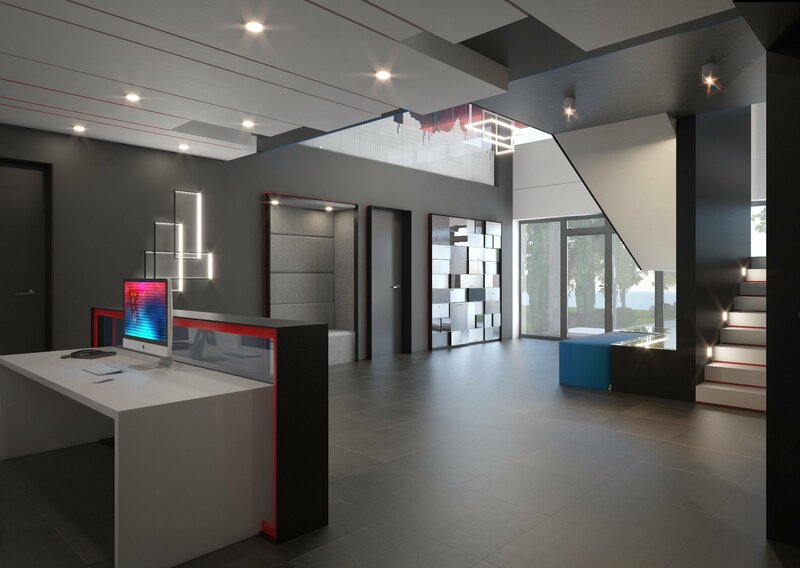 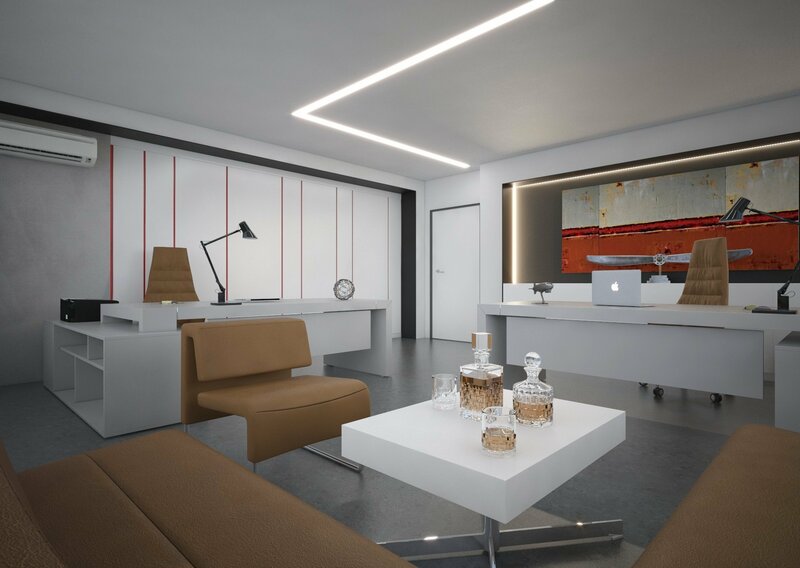 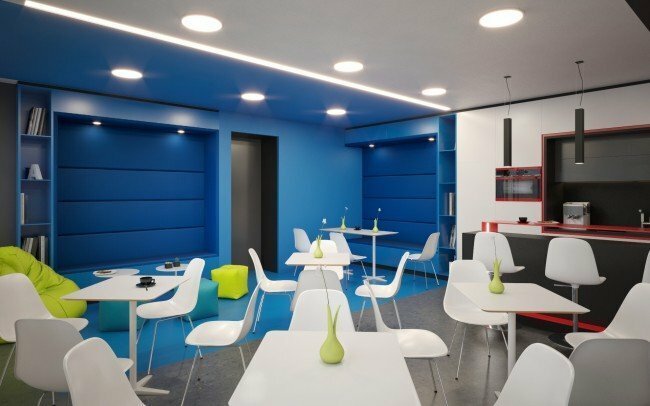 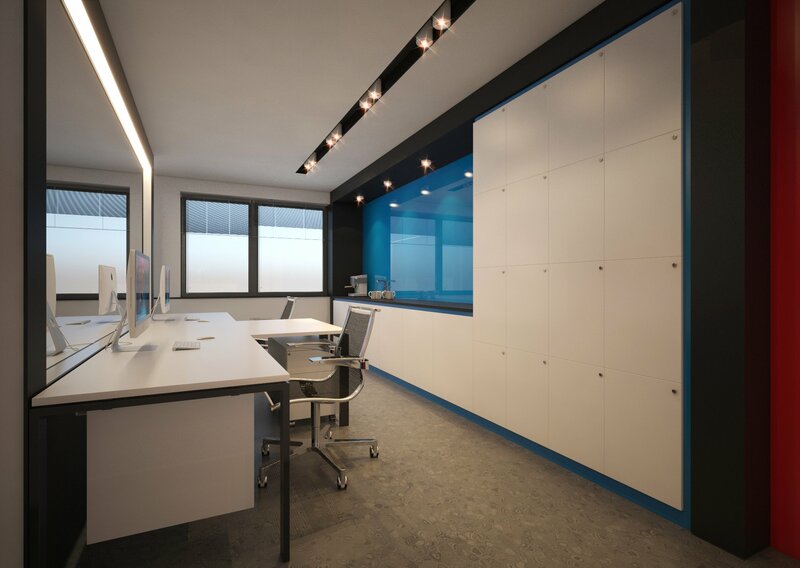 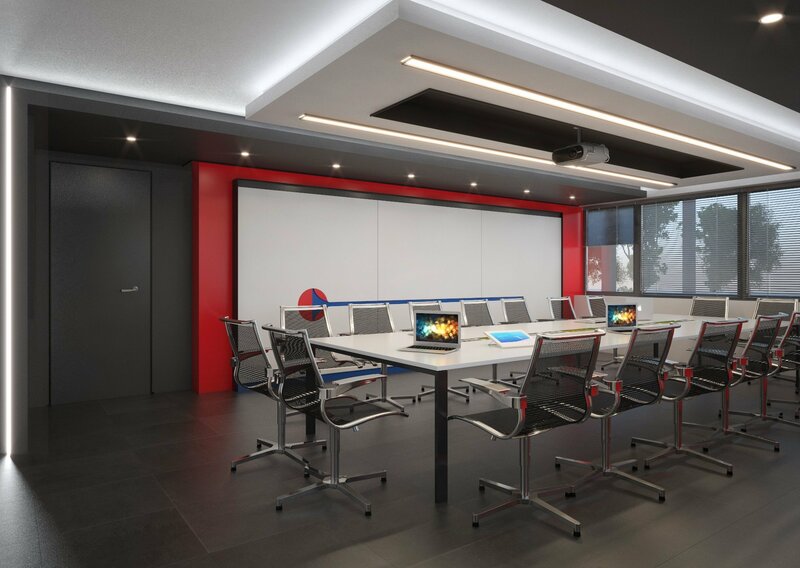 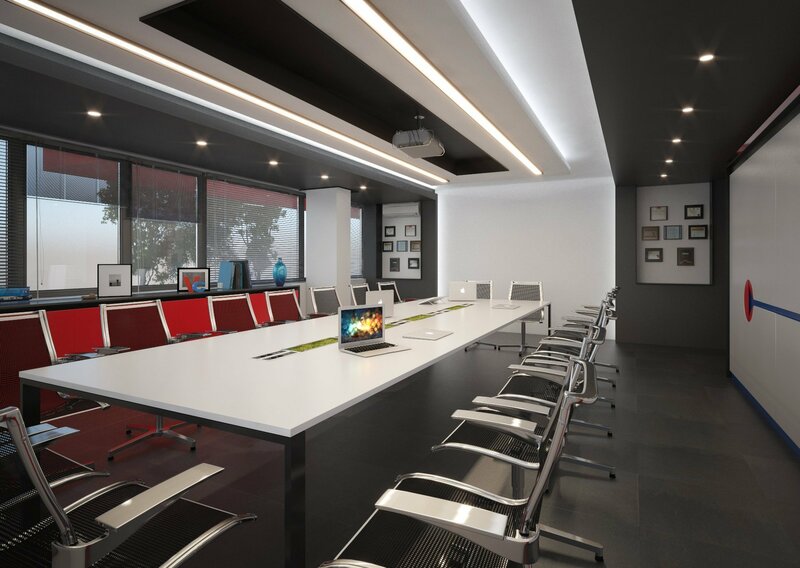 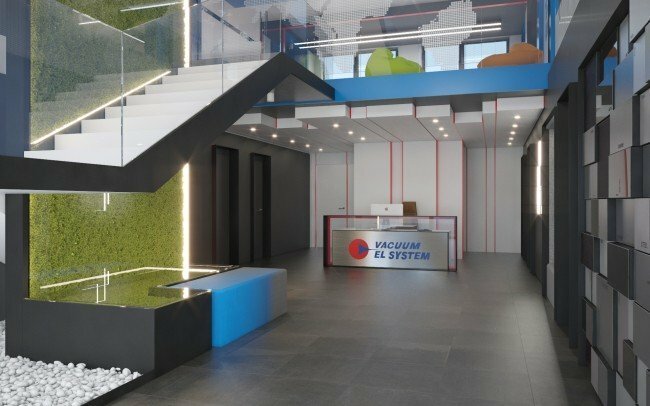 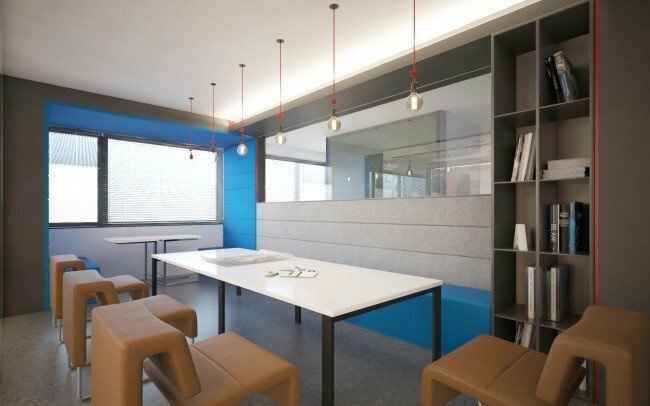 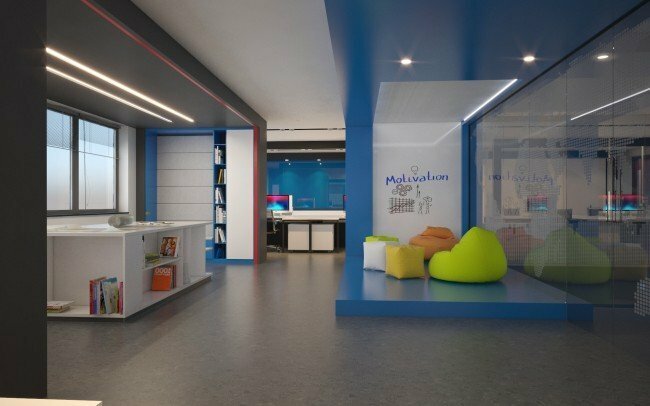 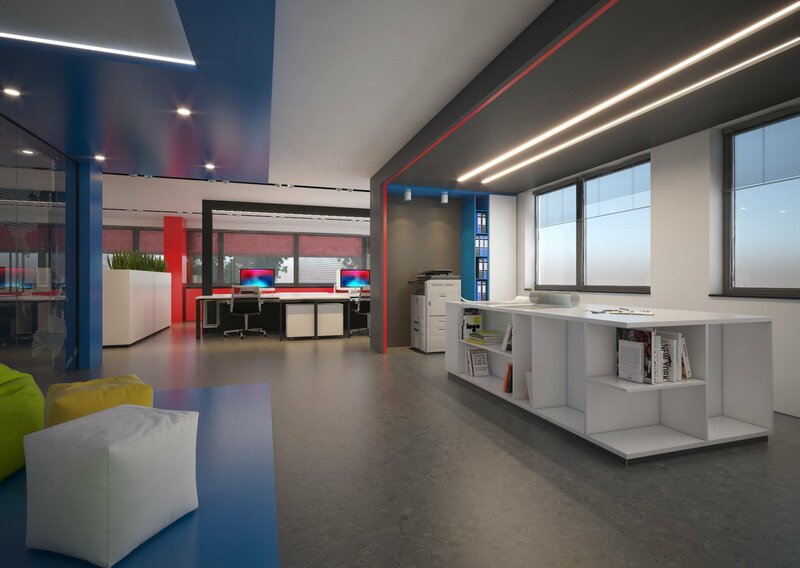 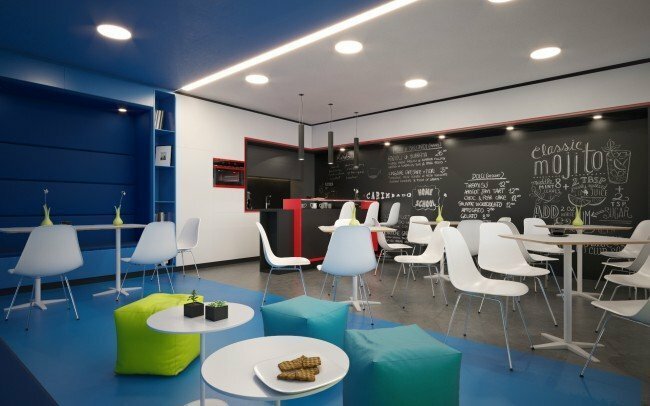 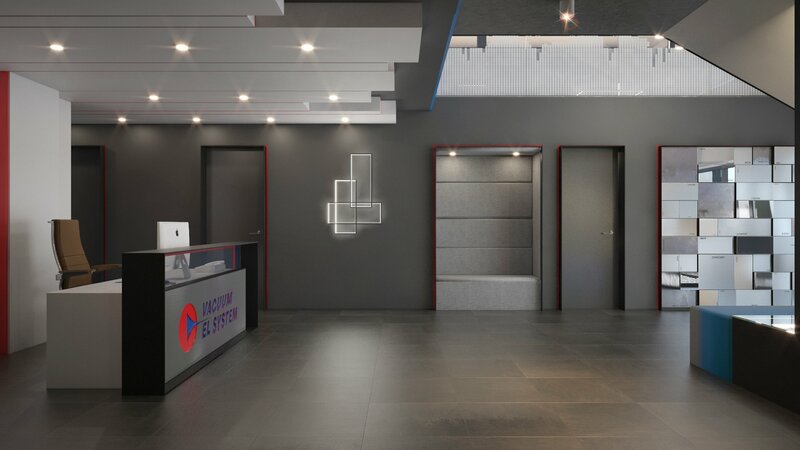 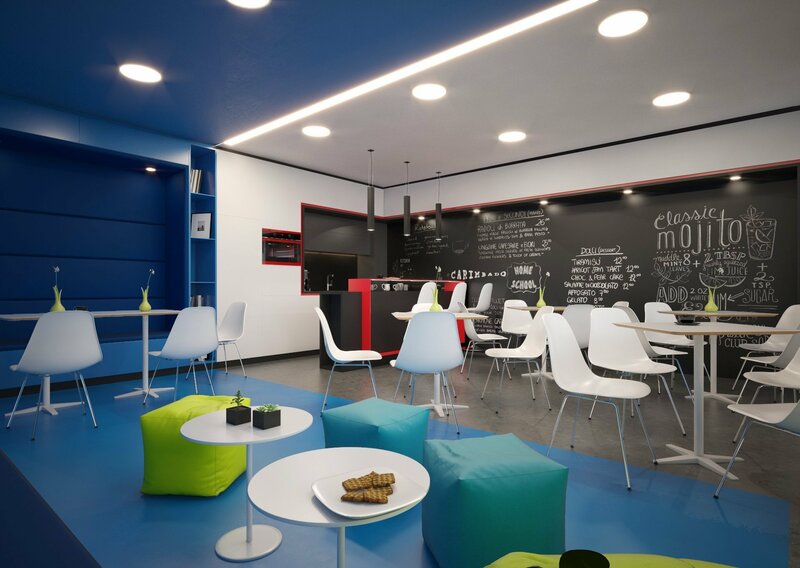 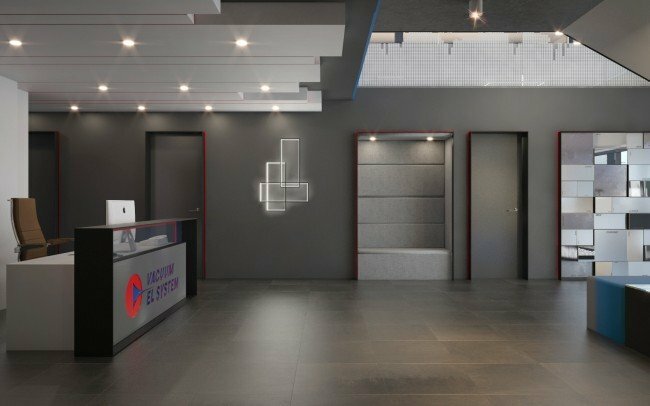 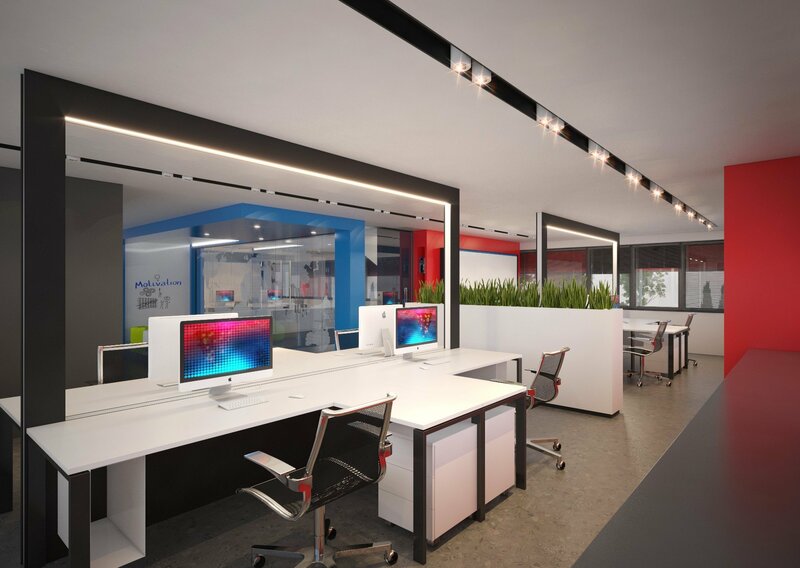 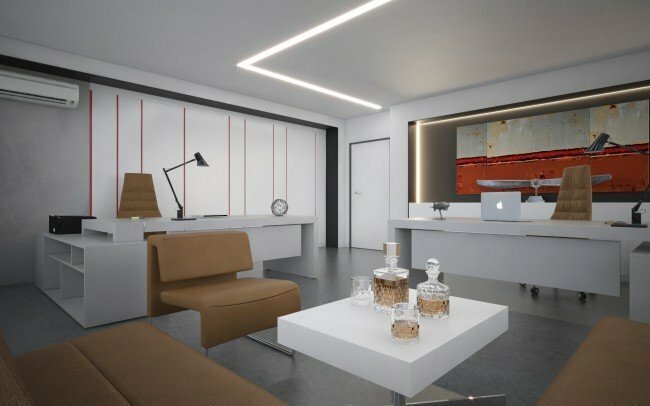 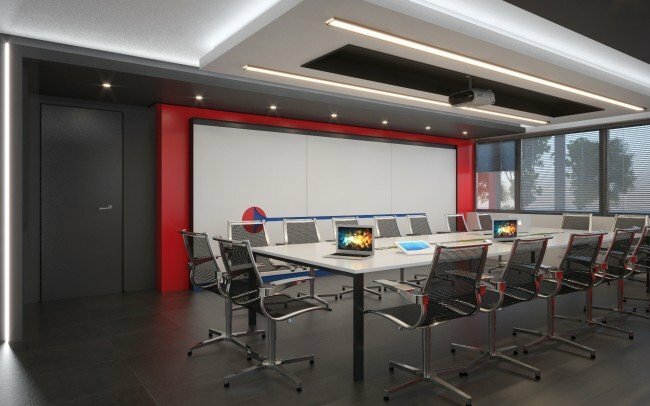 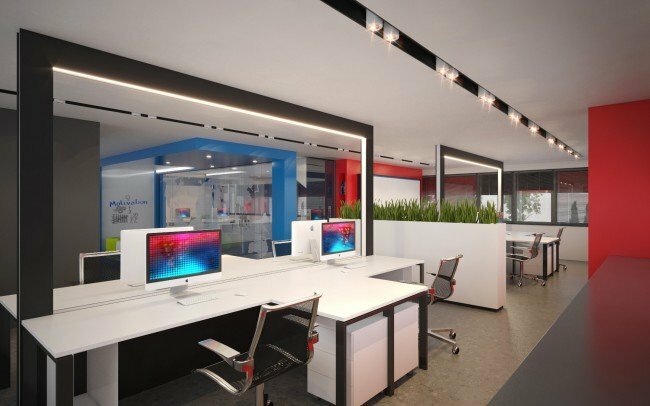 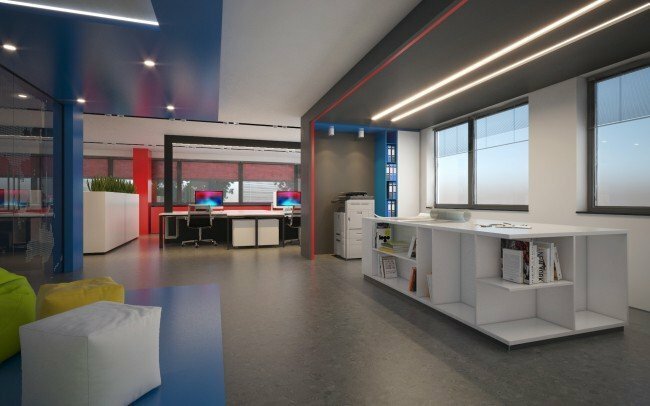 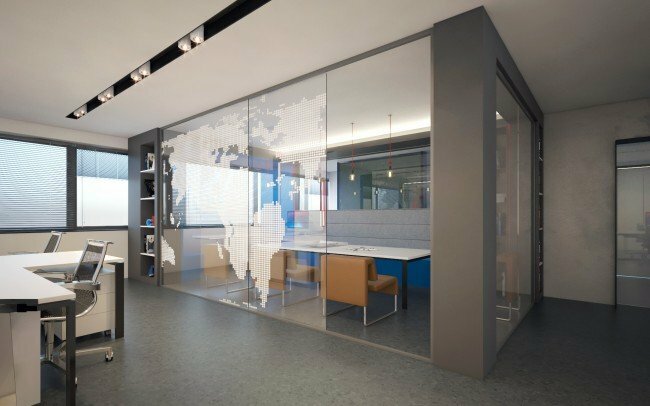 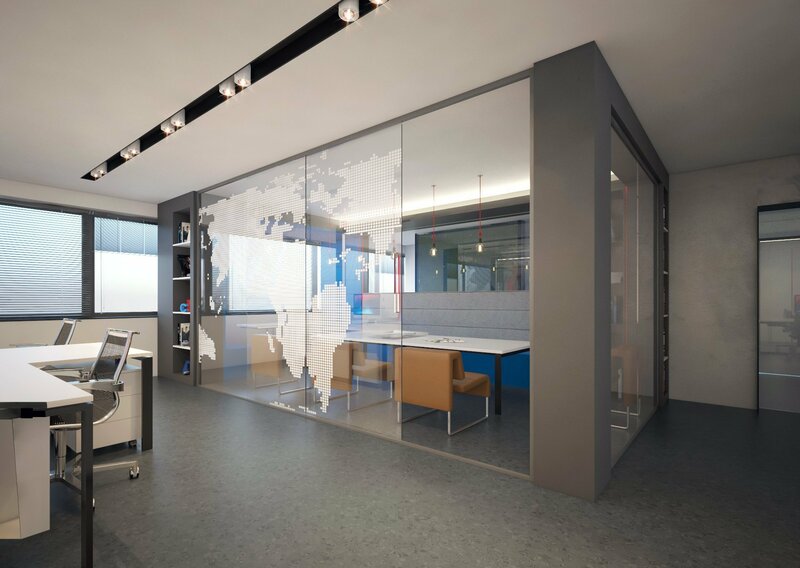 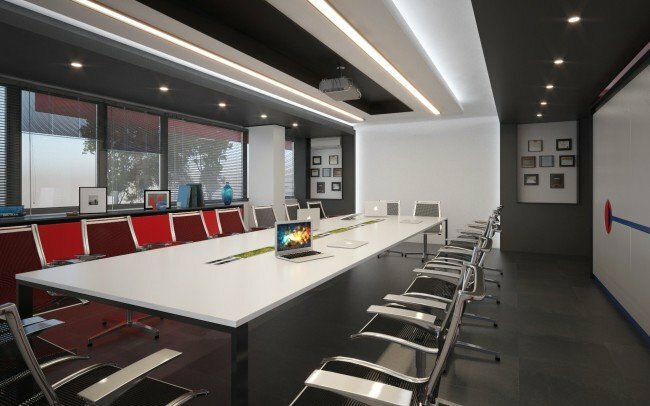 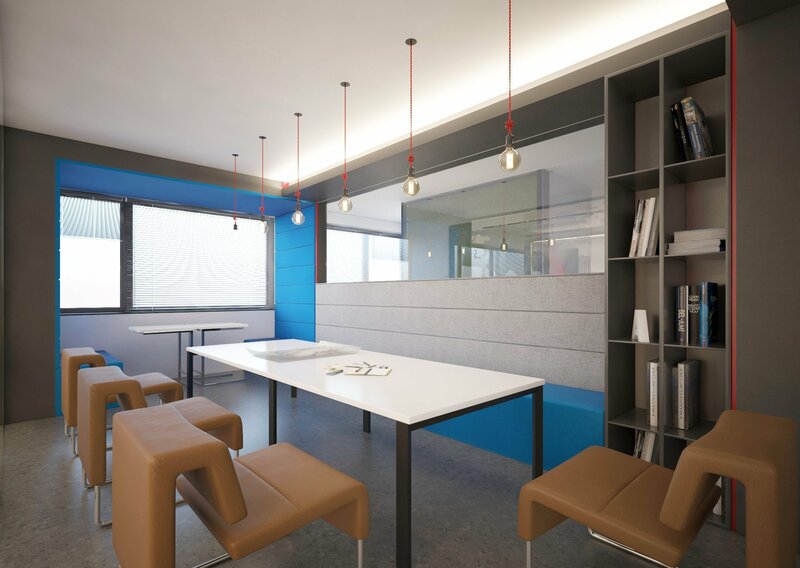 Interior design project for the office part of a manufacture building in Yambol. 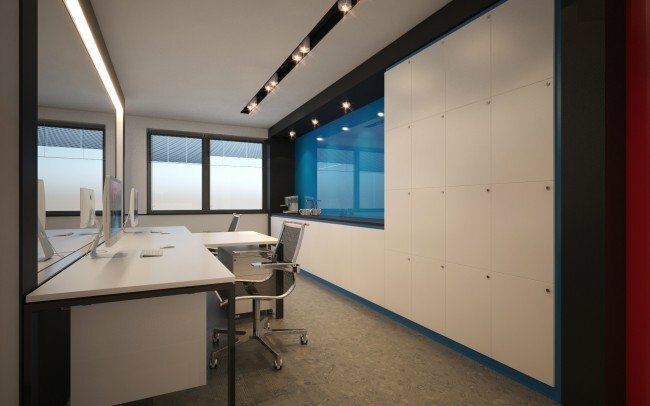 The office is 3-stored. 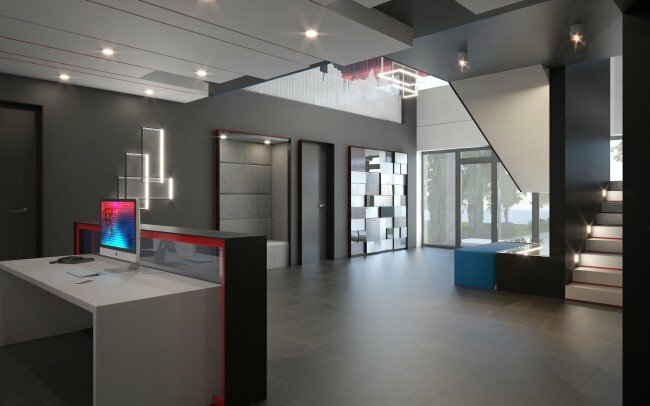 On the ground floor there are reception and waiting area, meeting rooms and relax area. 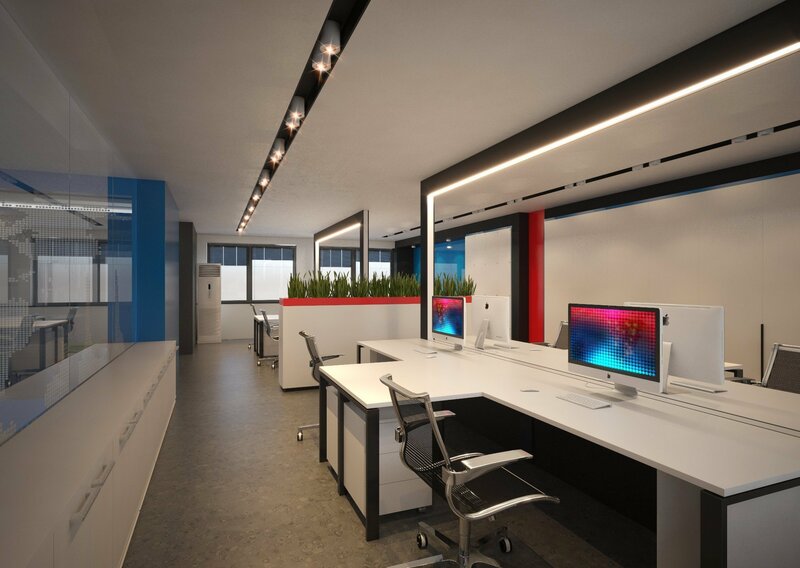 On the upper floors are the work-spaces (open-office type) and the managers' offices. 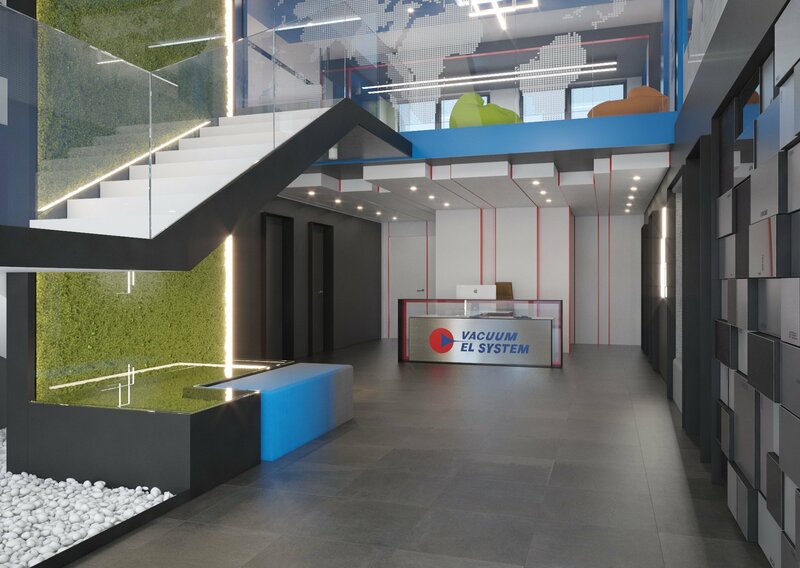 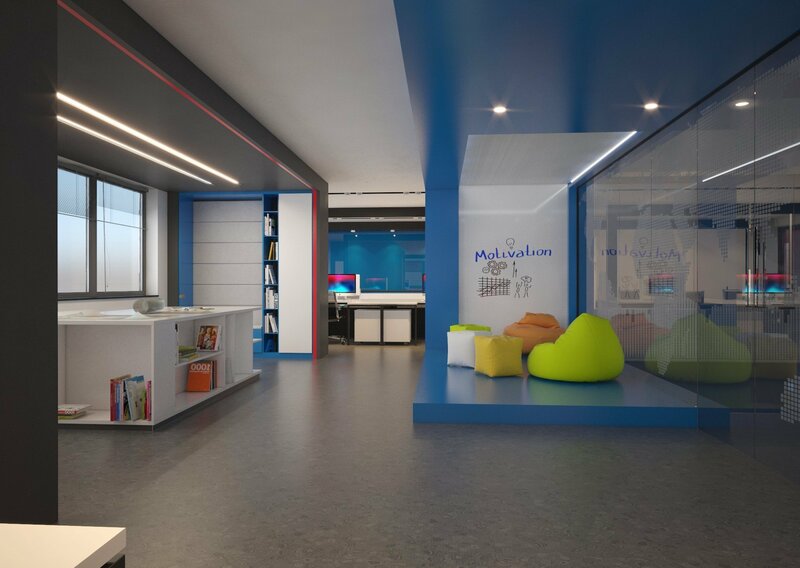 The design is based on the company's identity and logo; the field of activity of the company (metal and steel products) determined the use of some metal finishes in the interior.